EDM concerts are mad, trippy, happy affairs that have superstar DJs mixing and performing for long hours and fans dancing to their hearts’ content. 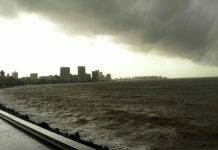 EDM festivals have gone global and now even some festivals in the Indian subcontinent feature amongst the world’s best. Let’s take a look at some of the India’s foremost EDM festivals you should not miss this December. 3 Days and 3 Nights is what it needs to give you an euphoric kick to your NYE. If you’re a party animal or a music enthusiast, then this newest music festival – Timeout 72 is the thing for you. 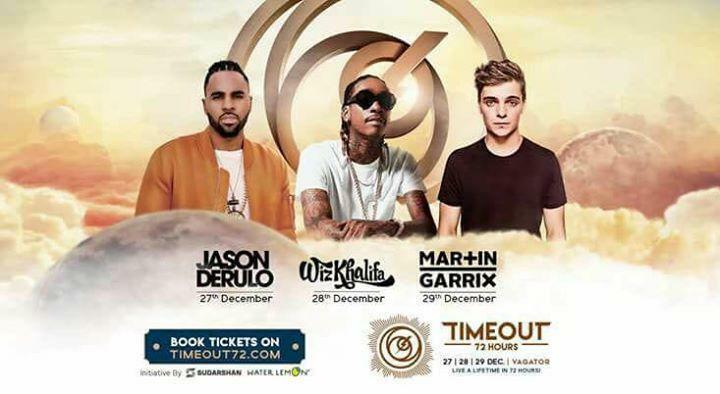 The shores of Vagator in Goa await you for some utter madness and crazy times with music lords like Martin Garrix and Jason Derulo on 27th, 28th and 29th December, 2017. To mark the very first year of the festival, these artists will be headlining this big music gig in 2017. Get ready for one of the biggest Sunburn yet! 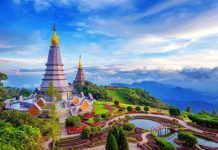 The most iconic music festival in Asia will celebrate its 11th edition with the biggest headlining acts, jaw dropping SFX, a stage that will take your breath away, camping, flea markets and much more. What’s more ? The No.1 DJ in the world, Martin Garrix will be closing the festival with a very special New Year performance. Other artists include Dimitri Vegas and Like Mike, DJ Snake, Clean Bandit, Kayzo, Nucleya and many more. It’s time to LIVE, LOVE, DANCE like never before. Comio EVC Mumbai 2017 is India’s largest two-day multi-genre concert introduced by the promoters of Enchanted Valley Carnival – a unique festival property introduced to the Indian audiences in 2013. EVC is bringing together some of the most popular, electrifying and massive performers from across the world to come perform on one platform. EVCs Tribe is a buzzing community of like-minded people, constantly looking to do something new and get together to enjoy the music and the vibe over the two days of the concert. 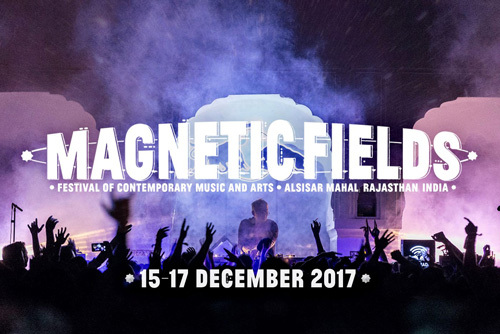 Get ready to witness an array of artists as Magnetic Fields Festival of Contemporary Music and Arts 2017 goes live on 15 December 2017. For three days, till 17 December, Alsisar Mahal will be lit and vibrating on a higher frequency. Wild City is yet to disclose the lineup but that should not stop you from getting excited in the anticipation of this amazing music festival. Want to know what went down last year, Which Artists brought craziness to the festival, Experiences that changed perspectives. Dive into the stream of nostalgia, Magnetic Fields 2016, here. This year, they will feature 3 stages. Redbull Music Academy North Stage, Bira 91 South Stage & Desert Oasis disco. 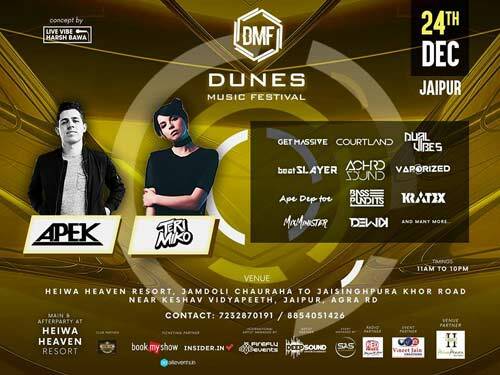 Dunes Music Festival is India’s fastest growing EDM festival. Aspired to bring the intensifying aura of EDM in India, DMF organized their 1st Open Air Festival in Nov 2016 and came up for Indian EDM artists to promote themselves on an international platform. DMF generally showcases new talent, who are ready to sway the crowd on their dazzling array of trance, dubstep, and Bass drops. In a short span of time Dunes Music Festival has become India’s leading & fastest growing open-air EDM (Electronic Dance Music) festival. They already captured a big segment and have covered more than 20+ campuses, 30+ clubs all over India and main commercial open-air annual events in Jaipur. Today Dunes Music Festival is the largest Open Air EDM Festival in Rajasthan. 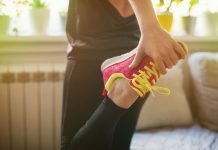 This year you will feel nonstop EDM music, royal food, royal hospitality, trekking, go karting, desert scooter riding, rope way and many more adventure sports at Dunes. Filled with lots of excitement, fun, and powerful music, this festival is going to be one of the enormous things happening during Christmas weekend. 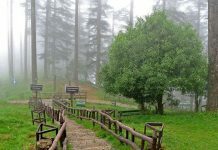 A concept by Live Vibe – Harsh Bawa, it is a 24-hour open air festival, which is going to be in the outskirts of Jaipur in the hills of Aravali at Heiwa Heaven Resort, nestled in the lapse of nature. If you are planning for an awesome weekend trip this Christmas near Delhi-NCR, Dunes Music Festival could be the best option for your family and friends. After Party at Heiwa Heaven Resort: Underground Hall & Pool Side. 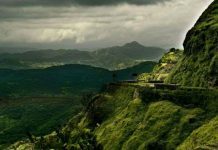 Next articleIncredible India and its mystifying wonders!